Interview Question 12 (with answer) - Would you describe yourself as ambitious? I have to confess I asked someone this once, and he said "oh no, I have never been ambitious - I just want to earn some money", which is an honest enough answer! In fact most employers would love this as in reality this is what they are looking for - a solicitor who is not going to recruit half their clients and set up over the road in a few years time. However as an interviewer I would not recommend this approach - although it is ideal, and I realise that this is very clear and helpful, at the same time it made me wonder about this person's approach to the work - afterall if you have no ambition, would you put as much effort into your work as someone with ambition to succeed? Jonathan Fagan, MD of Ten-Percent Legal Recruitment - no.1 online UK legal recruitment agency - save time, skip the legal job boards and let us do the work. Ten-Percent, the online UK recruitment group, have donated 10% of their profits to charity, and MD & qualified solicitor Jonathan Fagan calls on larger companies to follow suit and do the same. "When you look through the financial reports from blue chip companies, often their charitable donations are less than ours, and we have an annual turnover of less than £1/2 million, a fraction of the amount a company like Tescos generates in an hour. If every company did this, we could achieve significant change in the world, and make companies look more socially and ethically responsible to their customers than they do now." The company is an online operation specialising in the recruitment of lawyers, with 5 consultants covering the whole of the UK and beyond. One of the dotcom survivors from 2000, it has been expanding ever since.Challenge issued by North Wales Director for companies to donate 10% of profits to charitywww.ten-percent.co.uk, the online recruitment group based in North Wales, have donated 10% of their annual profits to charity for the past 7 years, and MD & qualified solicitor Jonathan Fagan calls on larger local and national companies to follow suit. "When you look through the financial reports from blue chip companies, often their charitable donations are less than ours, and we have donated over £20,000 on an annual turnover of less than £1/2 million, a fraction of the amount a company such as Tesco generates in an hour's trading. If every company did this, we could achieve significant change in the world, and make companies look more socially and ethically responsible to their customers than they do now. Think of the difference we could make just here in North Wales". The Ten-Percent Foundation was established in 2002, and the company donates 10% of profits to the charitable trust every year with grants being paid out to UK and African charities. To date the company has enjoyed paying for cows and livestock in East Africa through SendaCow.org, digging wells with Wateraid, supporting the schooling of children in Zambia through Cecilys Fund, funded a youth worker in Stoke on Trent and youth work in Merseyside, donated to solicitors support charity LawCare (helping alcoholic and suicidal lawyers), a Denbighshire childrens charity, sponsored a horse for Clwyd Riding for the Disabled, paid for various activities for the Parkinsons Society and the British Stroke Association, and hopes to continue to support activities for years to come. "We believe that making money and generating profits does not need to be done to the detriment of anything else, and as a company we derive great pleasure from supporting those around us who need assistance. I call on other companies to follow suit, perhaps set up competitions or nomination panels amongst their employees, and get donating time, profits and effort to support community and international projects." Fagan continued: "My company's motivation stems from the tithe laws of ancient times, where the clergy received 10% of anything in their village to pay for their upkeep, whether wine, women, song or honest hard grafting! I have always been interested in this take on life, and even if Ten-Percent.co.uk Limited continues to expand to generate significant profits, we will continue to donate at 10%." Living and working in Mold, North Wales, Fagan says he has found that the community around him is in need of similar funding to support community and environmental activities, and some of the money from the Foundation has been earmarked for this. The company is an online operation specialising in the recruitment of lawyers, with 5 consultants covering the whole of the UK and beyond working over the internet out of offices in North Wales. One of the dotcom survivors from 2000, it has been expanding ever since. The company has a reputation online for absolute honesty to all users, and actually tells it like it is to just about everyone, from customers to candidates. Legal Interview Question 11 (with answer) - what contribution do you make to a team? A cursed question to anyone who has not worked with business speak before. Includes myself I must confess, as I don't understand such words, but realise when I play cricket that it isn't just me trying to bowl out the opposition or bat to a century each match. The same thing applies in law. The reality is that the concept of teamwork is somewhat different in a law firm - the majority of decisions are made at senior level, and although more junior staff are informed that they need to be 'team players', very often the people who make this sort of comment are not at all in any way! The concept of teamwork is usually - if you smile when you make me a cup of tea, you are clearly a team player, but if you glare at me and drop it in my lap and then smile, you clearly lack social skills. The contribution you make to a team must be that you offer up your enthusiasm and skills, and that if you are qualified these are going to be extensive, and if you are unqualified, these are going to be limited until you have some experience under your belt. I cannot see any other way to answer this - you don't want to be a social misfit and say you are a business oracle for other members of the team to consult, or a thinker who carefully considers all options. If you have any suggestions, feel free to let me know! I often have conversations with senior partners of law firms who ask me for lawyers willing to work hard, be committed to their firm, and show entrepreneurial flair and determination, but no-one lightweight or wanting to work part time. Usually the requirement is for someone who wants to work full time and in the office from 9-5pm. This, in the partner's eyes, is someone who is committed and hard working. I have to say that I often find that if I work flexible hours, which I often do, my work benefits as a result. If I want to go and have a game of golf one afternoon, but then work the evening to make up for it, this means I get to relax during the day, and get some exercise, and then in the evening condense 3-4 hours of office time into 2 1/2, and not have to deal with the telephone calls or other distractions. I would estimate that for a lot of part time workers, they do the same, if not more hours than a full time worker, as when they are in the office, they usually have a lot more work to do. Full timers can afford to spend a morning Ocado shopping, or arranging car insurance quotes, but part timers have to be focussed for the whole time they are in the office in order to complete their work in a set time for that day. This article also applies to recruitment consultant jobs generally. Becoming a recruitment consultant is a little like joining the dark side in Star Wars - it often involves professionals giving up a well paid job with status to take on what is, in essence, a sales position, which very often is viewed by just about everyone to be a step down the ladder rather than up it. What do you need to become a recruitment consultant? Qualification-wise - none, but I don't think anyone less than graduate level for legal recruitment will find it very easy, as it involves a high level of communication with solicitors and legal executives, and you need to be able to empathise with them, which can be very hard work indeed at times! Skills wise? Patience (by the bucket load) - this is a career that offers good rewards if you are able to gloss over the bad times and remember only the good times. At present for example we are going through lean period, which is not so bad as we have been so busy in recent months. However unlike a professional post, you do look at work and sometimes wonder where you are going to get your next meal from! Ability to think outside the box - quite a few of our introductions are as a result of unusual introductions which have come solely from our insider knowledge of the legal profession and generating leads where others have not. Flexibility - need to be able to work on your own and with bucket loads of initiative - there is no structure to recruitment - you generate the work, you arrange how often you do this, and you need to keep tabs on everything yourself often. How do you find work? Often the larger companies recruit former lawyers to the trade, and dangle shedloads of money in front of them to get them through the doors. You dont need any training as such, but it sure helps! The REC is the main recognised trade body, and their website is www.rec.uk.com - I did the Certificate of Recruitment Practice after being in the business for a number of years, and it would have been very helpful to have done it prior to joining the trade, with hindsight! I have written this article due to the number of queries we are currently getting from crime solicitors (cant think why). Legal Interview Question 10 (with answer) - If you did not have to work, what would you do? This is quite an easy question to answer, as to a certain extent it has no hidden agenda, unlike a lot of questions, and does not leave you open to too much cross examination. One thing to be aware of is that if you come up with "I'd travel the world as I have a real interest in travelling and I hope to do this one day for an extended period" type of answer, you may get a very quick response from a partner asking you to clarify your commitment to a legal career. Similarly a response such as "I'd like to be a kissagram or pole dancer" may not go down too well. However something relatively jocular such as "I would buy an island and go and sit on it" would be OK, or "I would like to be a well known philanthropist" would be fine. A question in summary that you can enjoy answering, and not have to think too much about it! 02.05.07 Yikes, I'm Newly Qualified, and don't have a job! If you are reading this and are due to qualify in the next 9 months, register for our services by clicking here. As soon as you qualify, you are a valuable commodity to your firm. You may think that you have no skills, are worthless, and unable to justify a salary you would like. People will tell you that it is very hard to find work as a newly qualified solicitor, and you should wait at least 3 years before moving. Do not worry! It is a common tactic towards the end of a training contract for employers to "put you down". This is to prevent you thinking about pastures new. They talk about loyalty, vague partnership promises, and usually discuss the high level of the firm's overdraft with you. They then charitably offer you a position with the firm paying a low salary, but in line with your experience, and tell you to think yourself lucky to have employment at all. We do not chase candidates by telephoning, turning up at your home address (we know an agent in Manchester who did this) or bombarding you with messages. All correspondence is by email (unless you specifically request us to telephone or text as well - otherwise we only call in emergencies). Available 12 hours a day by email (and telephone & text if requested - we appreciate you may not want to be called by a recruitment consultant at work), your consultant can also give you careers advice, and negotiate salary for you (something a lot of people dislike doing themselves). All of this is completely irrelevant of course if you enjoy working with your present firm, and if this is the case, stay there and good luck with your career - you are very fortunate to have a firm where you enjoy working and are appreciated! There is more to life than your next pay cheque and finding a practice where you enjoy both your caseload and the working with the other staff is strongly recommended. However there are a lot of opportunities out there..... If you have any questions at this stage, you can email us at cv@tenpercent.co.uk or visit our confidential careers forum. Negotiating at newly qualified level really depends on the current state of the market. If you have offers from 3 other firms, or are aware of plenty of other firms who will want to speak to you, you can approach your current firm with confidence that you can pitch for a salary and if you don't get it, then move on. How much should you be earning for the firm? The golden rule for solicitors firms is 3 times your salary in most areas of law, although for example in personal injury you would be expected to be bringing in 6-8 times your salary in some firms. Others expect 3.5 times or 4 times your wage. The "one third rule" is based on your salary being one third, the firm's costs and overheads being another third, and the firm's profit the final third. An example would be "I am looking for something in the range of £23-£27.5k". Others are not sure and look around to see what options are out there. Others hate their current firm and spend the whole time trying to get out even during their training contract. It must be said that in business there is no such thing loyalty on the whole, and anyone who tries to pull the "loyalty card" on you should be reminded that they are taking the benefit of your labour to profit from you. Whilst there is a moral issue that the firm you are with took a chance with you by offering a training contract, it is often better to consider the issue from the viewpoint of your own career. If it is going to be beneficial to you in the longer term to remain with the firm - offers of partnership or career progression that you believe are genuine, and the salary levels offered are good, then it is probably best to remain where you are. 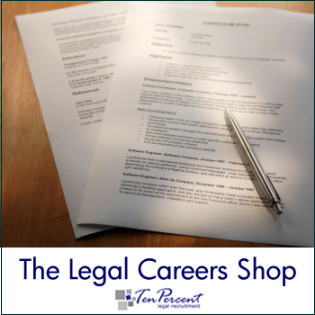 One of the questions we get asked every year is how easy it is to change fields of law, normally we get high street trainees wanting to become corporate lawyers, and corporate lawyers wanting to become high street solicitors. Neither think through the practicalities of such a change - the corporate lawyers think that everyone on the high street earns 50k, the high street trainees think the city firms will be interested in recruiting them for their conveyancing experience!